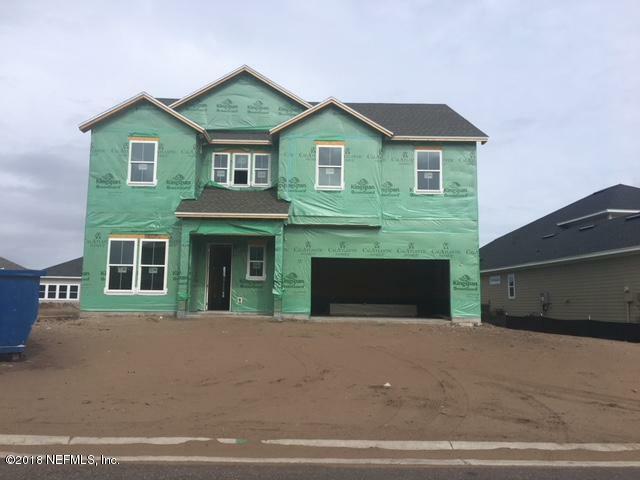 CalAtlantic Homes' ''Kensington'' floorplan is a 2 story with all bedrooms upstairs, with a huge great room.Kitchen, brkfst area and great room downstairs with a flex room. Gourmet kitchen includes Whirlpool double oven, built-in microwave, quartz counters & ivory perimeter cabinets(espresso island cabinets. Wood flooring throughout first floor, except for flex room. Wood stairs to carpeted second floor. Extended lanai make this a great home for outdoor entertaining.